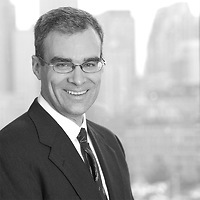 Ronald E. Cahill, chair of Nutter’s Intellectual Property Litigation practice group, was quoted by Massachusetts Lawyers Weekly in “Ruling leaves open questions on software patent eligibility” on June 26. The article discusses the recently released decision by the U.S. Supreme Court in Alice Corp. v CLS Bank Int’l, No. 13-298, which held that some but not all computer implemented software functions are too abstract to qualify for a patent. The ruling makes clear that the two step test established by the Court in its 2012 decision in Mayo Collaborative Services v. Prometheus Laboratories Inc. for determining patent eligibility for biotechnology patents under §101 also applies to computer implemented method patents. Under the two step test, courts must first determine whether the patent claim at issue addresses a patent ineligible concept such as laws of nature. If not, there is no issue under §101, however, if that is so, the court must then determine whether the claim’s elements sufficiently transform the nature of the claim into a patent eligible application. “The court has wholeheartedly endorsed [the Mayo] process for determining the patentability of computer implemented methods,” said Ron. He points out that the devil will be in the details moving forward. “The thing that’s left unanswered is, how do you know if [software] is abstract or not? How do you know if a business method is abstract? How do you know if different technologies, from tools to games … are abstract? The court only tells us that this particular software is abstract,” he said. The ruling leaves open the possibility for software programs to be deemed patent eligible, however, which programs are transformative enough of otherwise abstract ideas to qualify under §101 is far from clear. “What we do know about what claims will pass muster [under §101] comes from Judge Rader,” Ron notes. “There are a lot of defendants today who are working on summary judgment motions claiming that software patents are invalid under §101,” he said.